The decision to transition your child into an online high school may not be an easy one for your family. We respect and recognize the role of the parent as “a partner educator” in your student’s educational journey. We appreciate the opportunity to partner with you to provide tools and resources to help in the educational process. We offer an online, Christian-based, curriculum that meets and exceeds State and National standards. Click here to download brochure. Our State certified instructors and support staff are dedicated to providing the highest quality education available for our high school students. Our job is to partner with you and help prepare your child for college and career. 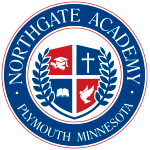 Northgate Academy is uniquely qualified to offer an online, Christian-based, college preparatory education. For students entering the workplace or career college after high school, we can help to build the foundation. Our learning management system provides parents the ability to follow their student’s progress with automatic and access to the parent portal. We provide you and your student interactive educational tools to assist in a high-quality learning experience. Online learning has been available since the mid-1990’s, so this is not a new concept. We have been educating high school students online for over a decade. Almost every State has an online virtual school for some districts. If you are considering trying online school for your child, call us now 800-339-7132 for details.